All hail The Capitol! 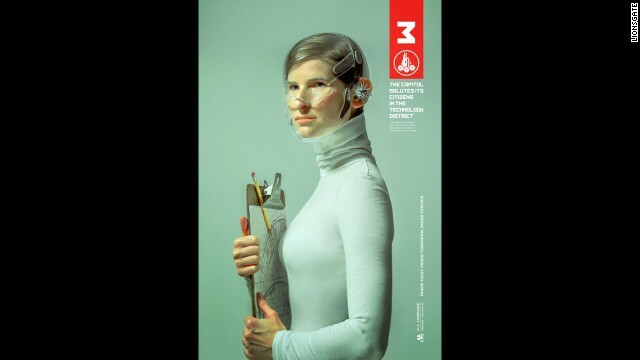 In anticipation of the November 2014 release of "The Hunger Games: Mockingjay Part 1" the franchise has released posters of "district heroes" representing their areas. 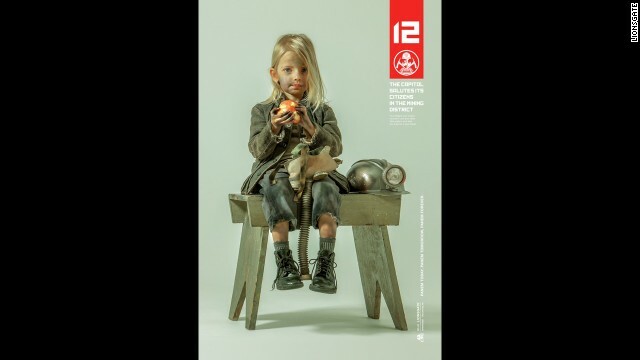 Here Lily Elsington, the 6-year-old ambassador from the Mining District, District 12, is shown. 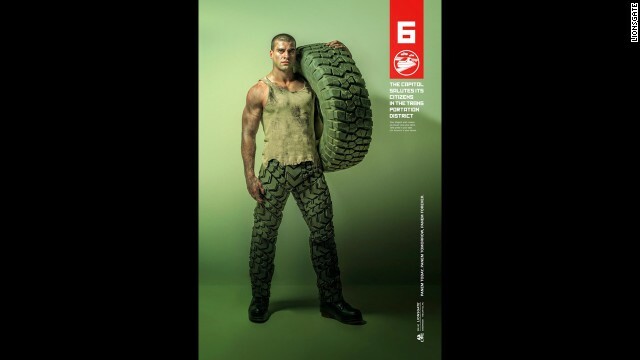 Clad in tire rubber, Malcolm Kastel represents District 6, which is the Transportation District. Fibre Bissette hailes from District 3, the Technology District. Naida Dolan clutches the catch of the day in honor of the Fishing District, District 4. District 10's Felix Stam wears fur and cradles a goat in tribute to being from the Livestock District. 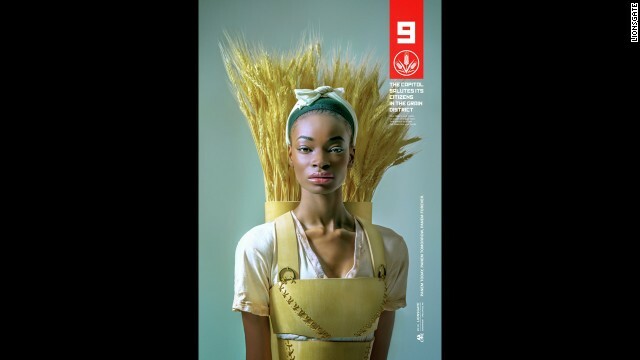 Teen Triti Lancaster's outfit incorporates wheat since she represents District 9, the Grain District. District 7 is the Lumber District and Elias Haan, 26, has kept the ax handed down to him by his great-grandfather as a reminder of the hardships he and his great District have overcome. Editor's note: Van Jones is president and founder of Rebuild the Dream, an online platform focusing on policy, economics and media. He was President Barack Obama's green jobs adviser in 2009. He is also founder of Green for All, a national organization working to build a green economy. Follow him on Twitter @VanJones68. The opinions expressed in this commentary are solely those of the writer. 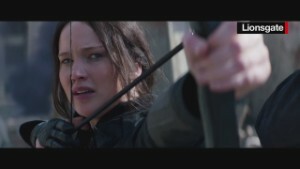 (CNN) -- The latest installment of the epic "Hunger Games" series hit theaters this Friday, and it promises to be the year's biggest blockbuster yet. 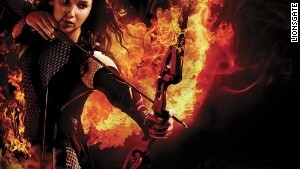 These books and films are not popular because we want to escape to Katniss Everdeen's world. They are a phenomenon because we suspect her world is our own. In the world of the "Hunger Games," the Capitol lives a life of extravagant wealth and consumption. Meanwhile, out in the "districts," millions of people work dangerous jobs with low pay. As the Capitol wallows in excess, the districts can barely afford to feed their children. 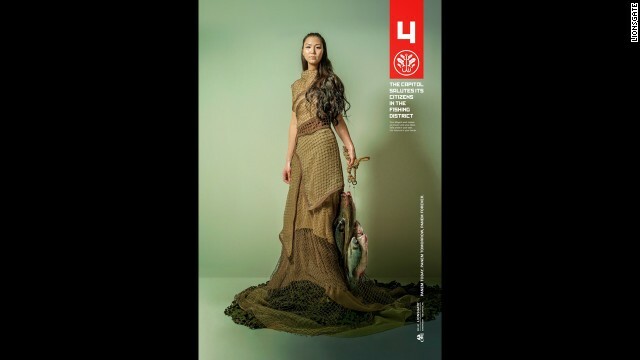 Ready for "Hunger Games" the stage show? To put it another way, the year's biggest box-office blockbuster is a more sweeping indictment of inequality than an Elizabeth Warren speech. It is a tale of how the worst of the 1% pull up the ladders of opportunity behind them, and hoard wealth to such a degree that all of society is poorer for it. It is Occupy's "We are the 99%," on Hollywood's big screen. When Americans look around and see the top 25 hedge fund managers raking in $21 billion while their own paychecks get smaller and smaller, the imaginary world of Panem does not seem so far away. Is it any wonder that some striking workers at Walmart and McDonald's have adopted the Hunger Games symbol of resistance, the three-finger salute? Or that people have begun sharing their own stories of economic distress with the #MyHungerGames hashtag on Twitter? The parallels do not stop there. Everdeen's District 12 is a coal-mining district, feeding the rapacious energy demands of the Capitol but receiving little in return but fouled lungs and poisoned skies. In the 2014 elections, polluters spent more than $100 million to buy themselves a compliant Congress. This week, members of both parties have returned the favor by voting in favor the Keystone XL pipeline, which would put tar in our rivers and carcinogens in our drinking water. Americans get 35 permanent jobs and fewer than 4,000 temporary jobs at a huge risk to public health. Energy companies would profit by shipping tar sands through America to consumers abroad. The Capitol would be proud. Also, consider the Hunger Games' District 11. After one of that district's children dies in the "Hunger Games," the mostly black region is the first to rise up in protest against the contest. The Capitol responds not by asking whether this cruel system makes any sense, or whether they simply erred along the way. Instead, they turn District 11 into a militarized police state. Nonviolent protestors gather. Riot police stand by threateningly. Residents raise their hands in the air in a potent symbol of freedom. The police cracks down brutally. It should look like science fiction. Instead, compare these images. It looks just like Ferguson. And of course, we cannot overlook the very idea of "Hunger" games, at a time when one in every six Americans struggles to get enough to eat. The "Hunger Games" is not just some liberal diatribe. It is also the story of an out-of-control state, distant and untouchable, exploiting the labor and lives of millions of citizens. Even as progressive populists see it as a cautionary tale of hoarding and excess, conservatives view the "Hunger Games" as a narrative of big government run amok. The likes of AFL-CIO President Richard Trumka toss three-finger salutes, while the Odds in Our Favor campaign combats inequality. But at the same time, conservative activists invoke the "Hunger Games" to deride an unaccountable and tax-obsessed federal government. We live in a time when we can all agree that our large institutions are failing us and even threatening our children. We seem so divided only because we cannot agree on which institutions are most to blame. That is the true secret to the popularity of the "Hunger Games." We can all see our stories in its sweeping plot line of oppression and rebellion. We know that the "Hunger Games" is just a fantasy. But when its world feels so frighteningly real, we cannot help rooting for Katniss Everdeen to win.